'There's the scarlet thread of murder running through the colourless skein of life, and our duty is to unravel it, and isolate it, and expose every inch of it'. Sir Arthur Conan Doyle was born in Edinburgh on May 22, 1859, one of seven children who survived to adulthood. He studied medicine at the University of Edinburgh, when he started to write short stories. 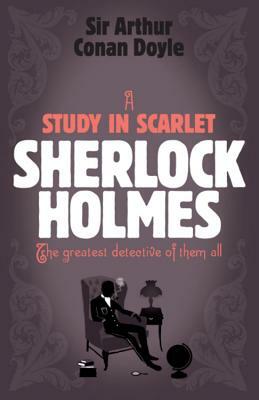 His most famous character, Sherlock Holmes, first appeared in A Study in Scarlet in 1887. After the death of his first wife, Louise Hawkins, with whom he had a son and a daughter, he went on to marry Jean Leckie in 1907 and they had two sons and a daughter. He died in 1930.